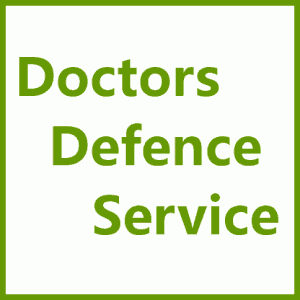 GMC MPTS Interim Orders Hearings (IOT) Case Law | Doctors Defence Service – UK. The GMC will refer cases to an Interim Orders Tribunal (IOT) (formerly known as an interim orders panel (IOP)) where it is deemed that a doctor’s ongoing unrestricted practice could undermine public confidence in the profession or cause harm to patients, while the GMC’s investigation into the allegations continues. Investigations can take some months and are conducted by the GMC. Interim Orders Tribunal hearings are conducted by the Medical Practitioner’s Tribunal Service (MPTS), an independent arm of the GMC. In Dr Dastagir v GMC  EWHC 847 an interim order of suspension was upheld on appeal, where a doctor had been charged with blackmail, in the criminal courts (unreported). Madan v General Medical Council (GMC)  EWHC 577 (Admin) – The Interim Orders Tribunal must take a proportionate approach to the allegations and evidence, balancing the interests of the practitioner and public protection. In Christou v Nursing and Midwifery Council  EWHC 1947 (Admin) the High Court set aside an interim order of suspension, holding that a final sanction at a fitness to practise hearing would be sufficient. The nurse had received a police caution for assault and had failed to disclose it to the Nursing and Midwifery Council (NMC). The court opined that there ought to be a serious risk to the public interest for an interim orders tribunal to impose an interim order of suspension. The case has relevance in GMC/MPTS interim orders proceedings.